When we wrapped up our recordings and went back home to Norway last year, I’m pretty sure none of us were ready to simply check Joshua Tree off our list of “been-there-done-that”s. The sessions out there had turned into something really special for all of us. My assumption is therefore that I was probably not the only one who sensed the big «to be continued» hanging over the desert sky when we drove off to the airport. I don’t think any of us anticipated our return to happen this soon, though. Only weeks after the release of “Different Stars”, in May 2015, the planning of a second trip started. “Different Stars” was recorded in a week at Rancho De La Luna, then brought home for overdubs and mixing. This time we wanted to reinforce the Californian imprint on our music even further. To do so, we drew up the following challenge, or should I say dogma, for ourselves: to record and mix an album of new material within the limits of a two-week period. Compared to last year’s sessions, this meant deadlines on a totally different level. There would be no room for postponing production details for later. Decisions had to be made on the spot, songs had to be picked / eliminated, and all the arrangements, lyrics etc. had to be worked out in advance. As it turned out, we made quite a few alterations to our original ideas once the actual recordings took place. The point is that on such a tight schedule it’s easier to change an idea around, than it is to find direction where there’s no idea at all. I don’t think I’m exaggerating when I say that we’ve never, on any of our previous albums, let go of this much control. In a way, we were back to trusting our musical instincts again, rather than resting on our years of studio experience. As a result, I think the music sounds fresher and it probably also has a slightly rougher edge than before. 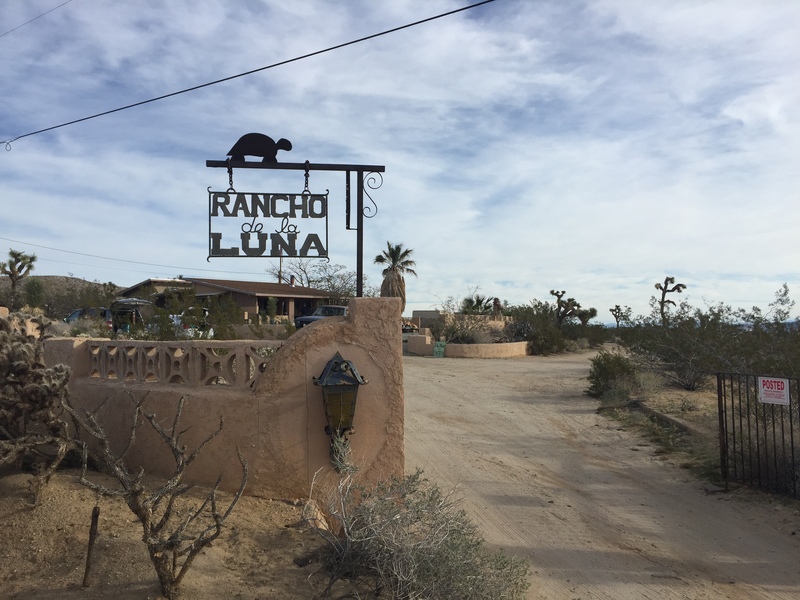 As in 2015, we spent a week at Rancho De La Luna. Fourteen new songs were recorded. We then spent a week in L.A., where Noah Shain was booked to mix the songs at his White Buffalo studio. The daily work routine was usually something like this: Noah would be mixing one song while at the same time the band would be busy finishing another; editing, adding backing vocals or maybe some last-minute guitar parts. Everyone had a designated task that they had to execute in order to have the next song ready in time for mixing. So, more than ever before, I feel that making this album has been a team effort. Torgeir Lund, for running the best bar, catering business, and label in the world, and for believing enough in us to take us out on this magical trip. David Catching, for his hospitality, generosity, and for letting us become a part of the Rancho De La Luna saga. That Thanksgiving party was also a blast. Noah Shain, for patience and musical insight, and for going along with what must have sounded like a crazy idea – to mix 14 songs in a week. It was a rare experience to witness how the songs came to life between your hands. And then, of course, our dear friend Dave Raphael. I’m really not sure where to begin. You’ve been like the wheels on the Sugarfoot bandwagon. Thanks for letting us stay at your house, for supplying us with all that state-of-the-art studio equipment, amplifiers (Fucktone rules) and guitars. And once again, for documenting our trip. Your support is invaluable, man! And here we are back home again. Just in time for Christmas. In a few days, when we’ve had some well-deserved sleep and once again come tumbling out of the jetlag haze, there’s a pretty good chance we might look back on everything and mistake it for a crazy, surreal dream. But I’ve got the music here to prove it all happened. We really made it! Now we just have to figure out a way to present it all to the world. Can’t wait to share the music with you all!